The strength in our manufacturing capabilities and your goodwill helped us build one of the largest manufacturing units in India spread over 80,000 sqft in one of the industrial hubs in Gujarat, with most advanced technology in sheet cutting, bending and welding with huge manufacturing output capability to complete even huge projects on time anywhere in India. The plant is designed to manufacture complete range of cooking, bakery and refrigerated equipment in any design and customization without compromising on quality, also one of the highly efficient kitchen ventilation hoods with fresh air or without fresh air provision, and exhaust filters which are highly effective in grease removal under any conditions. 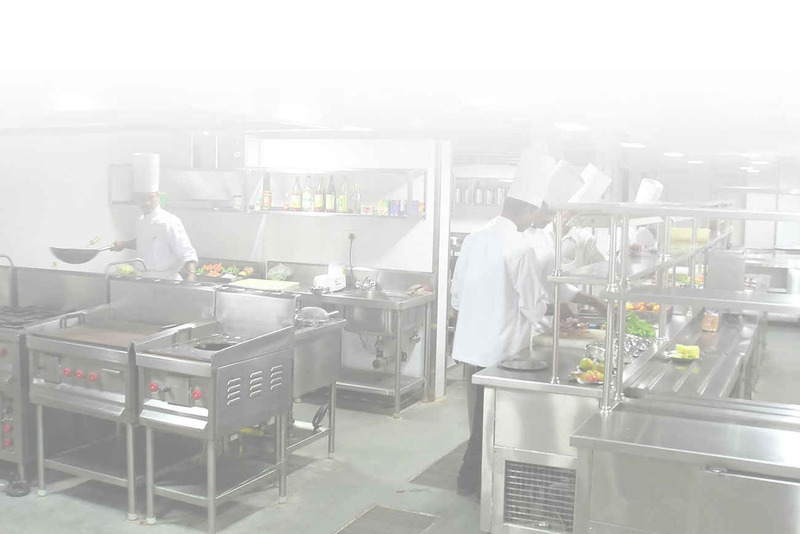 Having executed projects all over India ranging from flight kitchens, 5 star hotels to standalone restaurant, QSR, institutions, industrial canteens, hospitals etc gives the organization capabilities. Very few organizations have with all India service support network to provide service under warranty and also undertake comprehensive and non comprehensive maintenance contract, so that you don’t need to worry about the equipment. Our highly trained project execution team with trained engineers are capable of handling any kind of projects & site conditions. The team is highly capable in site coordination and service coordination with the consultant and architects so that there are no mismatch or gaps on site which will give you an better organized and aesthetic kitchen.